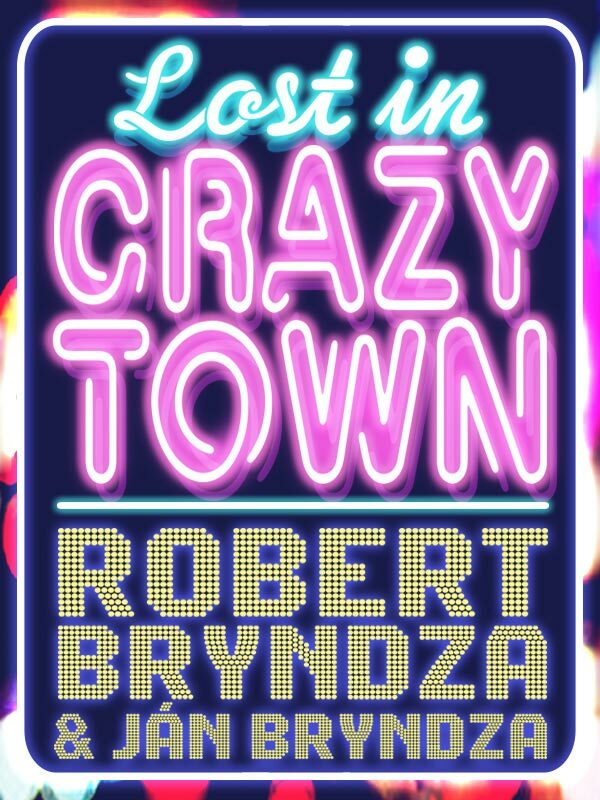 Here’s the bright and eye-catching cover for Rob and Ján Bryndza’s Lost in Crazytown,. I asked Rob a few questions about it. What does the cover for Lost in Crazytown tell us about the book? It’s a very dark comedy. It’s based on our experiences working in Hollywood a couple of years ago. We lived in an apartment just off Hollywood Boulevard and I was always struck by the difference in the place during the day and night. By day it’s quite a sunny fun place, but at night the darkness falls and all the shops and bars that go unnoticed during the day open up with their seedy neon signs, and some very strange people prowl around. This kind of summed up Hollywood and our story. Scrape off the tinsel of tinsel town and what’s underneath is pretty scary. What does it tell us about you and Ján? Ooh, good question. I don’t know… Hopefully that we’ve written a fun entertaining book. We have a super cover designer, Dan Bramall and he came up with the look of it based on discussions we had. One thing I sent him was the opening credits for the TV show Entourage, where the car cruises along Hollywood Boulevard in the dark. He went from there. There were several variations on the final image, at first it was going to be a sign by a road and we saw different colours for the neon lights, but it pretty much stayed the same from the initial draft. Do your research. Both of your designer and what genre your book best fits into. Be prepared to spend money for the right cover. Also if your an indie author you’ll most likely have 99% of your sales through ebooks, so think of your cover as a thumbnail image – and make sure it stands out in black and white too. Your book cover will be a tiny image at first either on a computer screen or a black and white ereader, you need to make them want to click on your book and explore further! The book has been published as an ebook today! It’s a lively, entertaining novel with plenty of humour but it also takes a harsh, uncompromising look at the shallowness of Hollywood life. Very well worth a read. Here’s the link to find it on Amazon.co.uk.